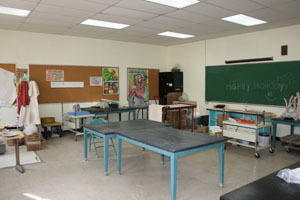 ArtSpace is one of the largest art centers in New England. 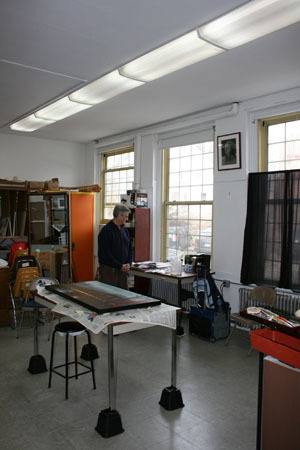 In addition to a beautiful, large gallery, PrintWorks printmaking area and Acme Theater, our 55,000 square foot facility contains 45 studios occupied by 80 artists. We offer artists the opportunity to lease outstanding and affordable studio space. Studios range in size from 150 sf to 1,000 sf with rents that are reasonably priced at about $10.44 per sf per year, including heat, electricity, Wi-Fi, snow and trash removal.